Lovely! The warm red and yellow provide such a lovely sunny contrast. How charming! Love the red and yellow! i like this design. it is very beatiful. i like the furniture in this house that's was fit color to my home. This kitchen seems very warm . I will come back. it's gorgeous! i love the wall color so much! so cozy and modern all in one! 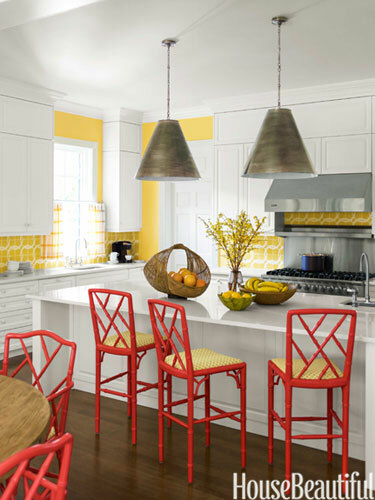 I like your chairs.... :) love the design..
the chairs was so great and perfect to interior design in kitchen! nice! Where i purchased this kind of chair? i like it! One of the most sensible relations in this world is only between mother and his child. Mother knew everything of his child.mothers day status But sometimes her child fails in understanding her mother. Red chairs seize the attentions!